The Pulitzer committee's message was clear: Rap and hip-hop are art forms of staggering and universal importance. I voted for Kendrick Lamar’s “DAMN.” for Album of the Year in the latest round of Grammy voting, but I wasn’t surprised that he was beaten out by Bruno Mars. My fellow Grammy voters are rarely an adventurous bunch. In fact, they’ve only awarded a hip-hop record the year’s highest accolade twice. Plus, Bruno Mars is a consummate entertainer and palatable to a broad cross-section of the voting community, while Lamar’s art is more, well, difficult. There’s an easy argument to be made that the Pulitzer committee actually needs Kendrick Lamar far more than Lamar needs its accolades. But ultimately, this moment feels bigger than Lamar in so many ways. 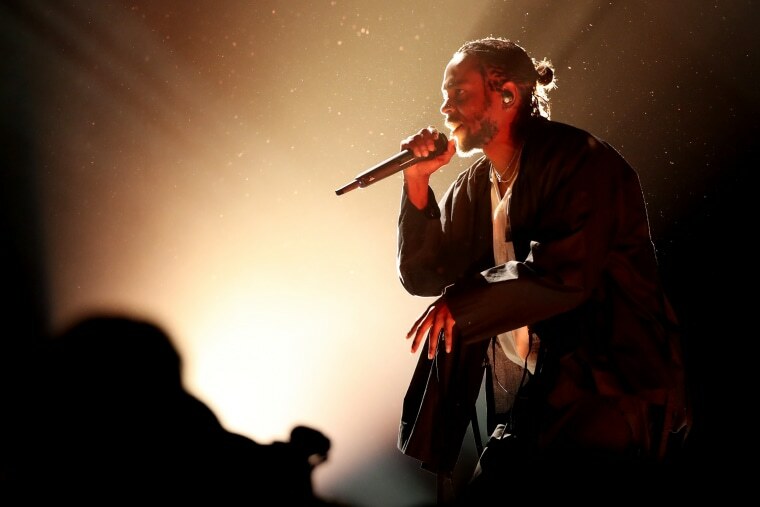 There’s an easy argument to be made that the Pulitzer committee needs Kendrick Lamar far more than Lamar needs its accolades. The board's language smacked a bit of faint praise, especially in these hyper-woke times. But there was also no mistaking that Lamar’s win elevated his genre into the same realm inhabited by classical, jazz and Pink Floyd and The Beatles. The message was clear: Rap and hip-hop are art forms of staggering and universal importance, not just to those who love them, but to the world at large. And that, my friends, is bigger than any Grammy win could ever be. It’s been a long road, to be sure. I remember all too well the bottles hurled at Grandmaster Flash and Kurtis Blow when I saw them open for The Clash in the early-1980s. But that was nearly 40 years ago. So the often unintentially hilarious, yet still heartbreaking, chorus of anti-Lamar and hip-hop comments on Twitter last week — especially those compiled by @NewMusicDrama — were a reminder that even after all these years, some of the old battle lines are still in place. There are a few things going on here, of course. First, there’s the antediluvian trope that rap and hip-hop isn’t “music.” But considering that the genre has long since put rock and roll in its rearview mirror as the preeminent cultural signpost, this argument feels more tired and racist (yup, I had to go there) than ever. And while it has to sting for lovers of classical and jazz, the world — and art, especially — is moving at a remarkable clip. Bob Dylan’s Nobel prize last year is just another example of that fact. The musical bonafides of rap and hip-hop can no longer be denied. Moreover, how long has it been since rock and roll had anything close to the impact Lamar and company are having on the cultural conversation? The musical bonafides of rap and hip-hop can no longer be denied. Moreover, how long has it been since rock and roll had anything close to the impact Lamar and company are having on the cultural conversation? In the other corner are those who argue that irrespective of genre, Lamar and “DAMN.” aren't worthy. For these critics, it’s not that hip-hop isn’t music, but rather that there’s a laundry list of artists who arguably deserved the award more. Indeed, among Lamar’s fellow finalists were special talents — artists also seeking to comment on the world around them in their art. These finalists included people like Michael Gilbertson, whose string quartet was rewritten in the wake of the 2016 election, and Ted Hearne, whose “Sound from the Bench,” a cantata for a chamber choir, electric guitars and drums, includes texts from Supreme Court decisions. While both would no doubt have been worthy winners, “DAMN.” is just as beautiful and just as thoughtful in the way it comments on and presciently reflects our times in surprising and clever ways. It’s also true that Lamar is hardly a household name at this point. The general public was blissfully unaware of his debut album “Section.80,” or even its astonishing follow-up “Good Kid, M.A.D.D. City.” His remarkable, genre-straddling follow-up “To Pimp A Butterfly” gained mainstream traction in part because Tony Visconti, the producer of David Bowie’s final album, “Blackstar,” mentioned that the ailing legend had found inspiration in the album’s extraordinary sonic mélange. In fact, you could argue that “To Pimp A Butterfly” is a superior album to “DAMN.” It certainly has all the hallmarks of a classic work of art — strong melodies, artful collaborations, piercing lyrics. But what’s so amazing about “DAMN.” and what most of the commentary in the immediate aftermath of Lamar’s win failed to acknowledge, was that it was written and produced by an artist who had already made it. While no longer the same artist who burst out of Compton with staggering wordplay and a palpable hunger, Lamar was still able to produce a work of stunning musical inventiveness, as well as the sophisticated and historic lyrical content found in Dylan’s early, earth-shattering works. Pulitzer juror David Hadju told The New York Times that he and his colleagues had listened to more than 100 “pieces of classical music that drew upon hip-hop as a resource” during the selection process, which in turn led the committee to “put on the table the fact that (rap music) has value on its own terms and not just as a resource for use in a field that is more broadly recognized by the institutional establishment as serious or legitimate.” There was no dissent when “DAMN.” was chosen as the winner, according to Hadju.